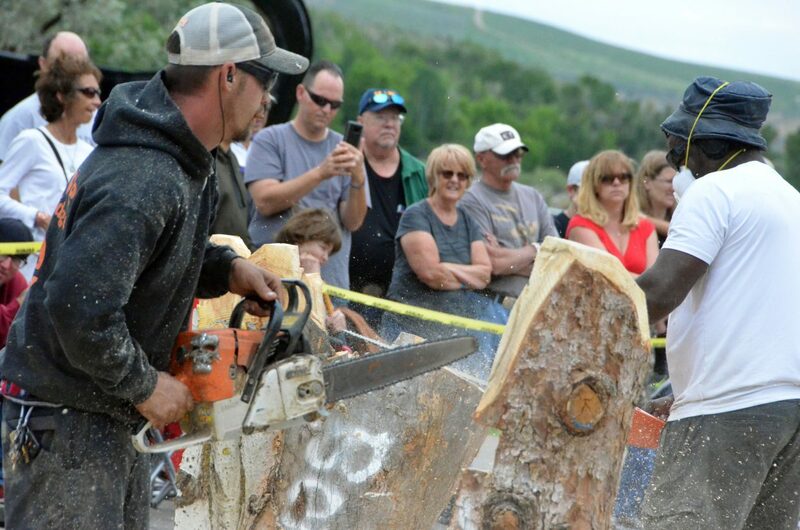 Robert Lyon restarts his chainsaw Saturday during the Quick Carve competition at the 19th annual Whittle the Wood Rendezvous. 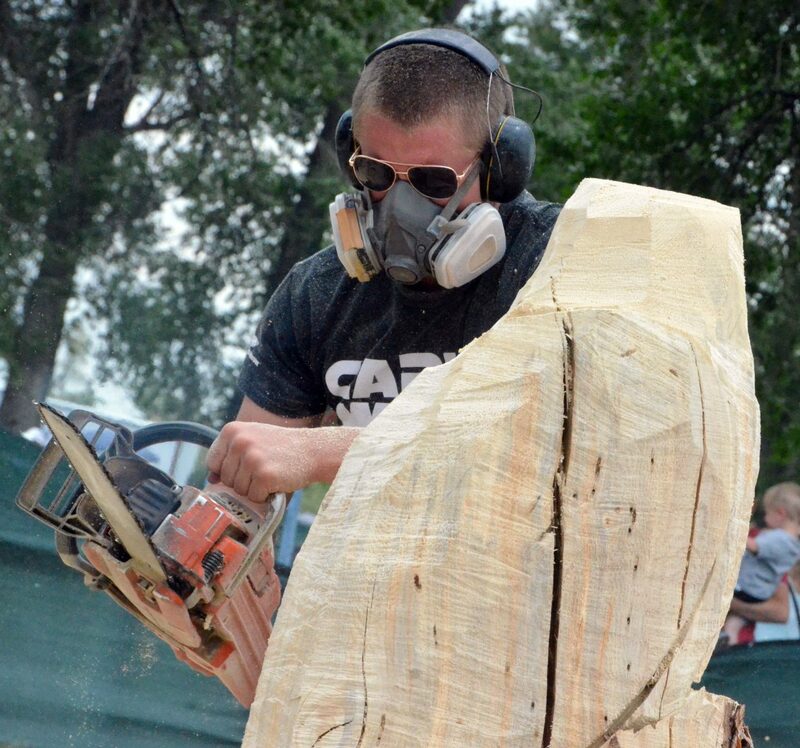 Matt Ounsworth continues working on his piece Saturday during the Quick Carve competition at the 19th annual Whittle the Wood Rendezvous. 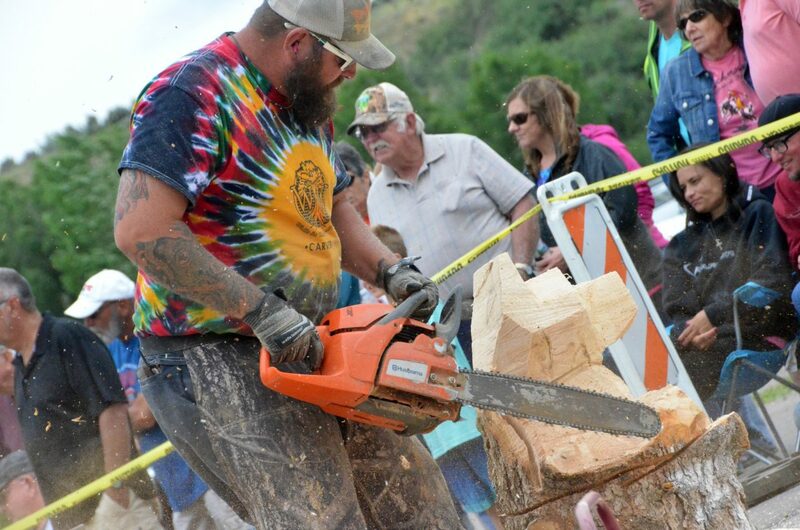 Jim Valentine makes some small cuts Saturday during the Quick Carve competition at the 19th annual Whittle the Wood Rendezvous. 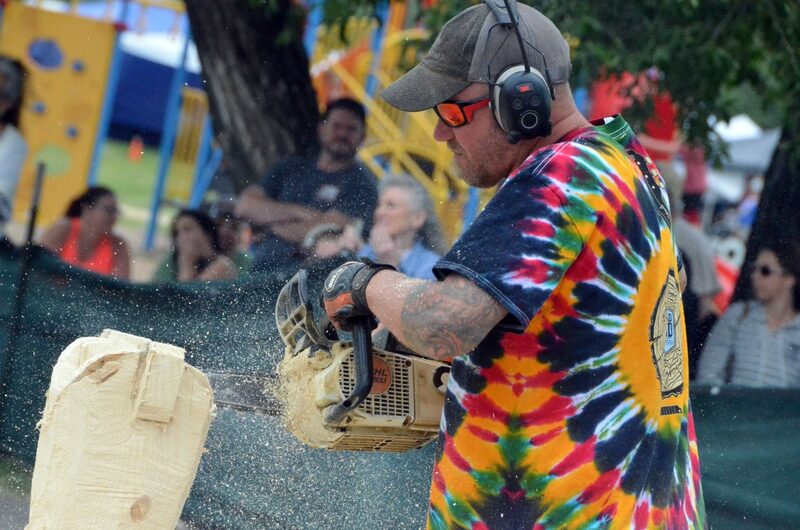 Joe Srholez produces some sawdust Saturday during the Quick Carve competition at the 19th annual Whittle the Wood Rendezvous. 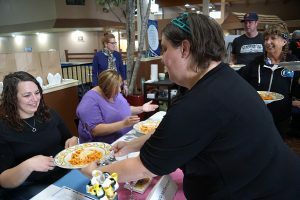 Spectators watch as carvers Damon Gorecki, left, and Bongo Love compete Saturday during the Quick Carve competition at the 19th annual Whittle the Wood Rendezvous. 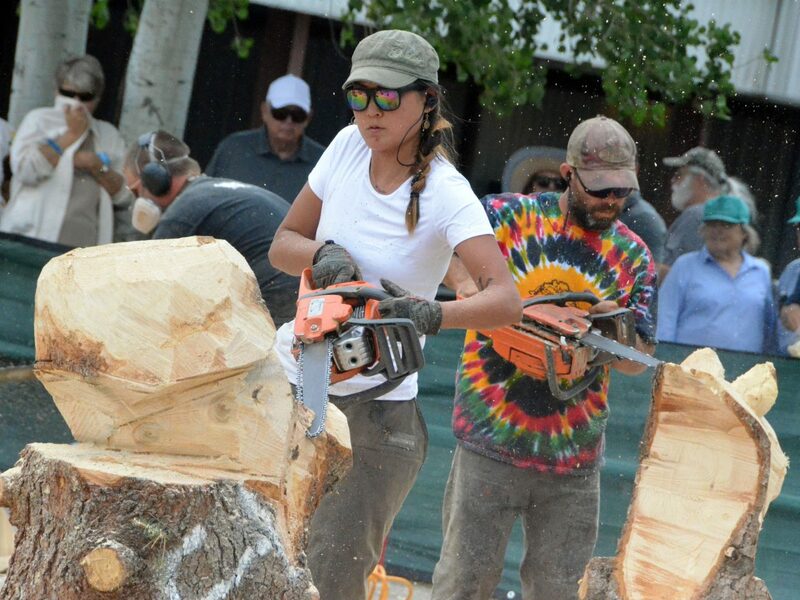 Carvers Justine Park and Matt Ounsworth work on their pieces Saturday during the Quick Carve competition at the 19th annual Whittle the Wood Rendezvous. 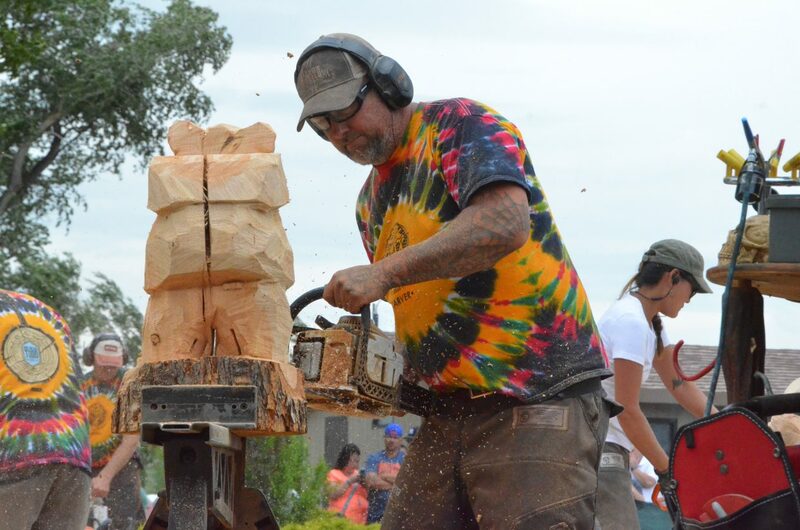 Ken Braun makes progress on his stump Saturday during the Quick Carve competition at the 19th annual Whittle the Wood Rendezvous. 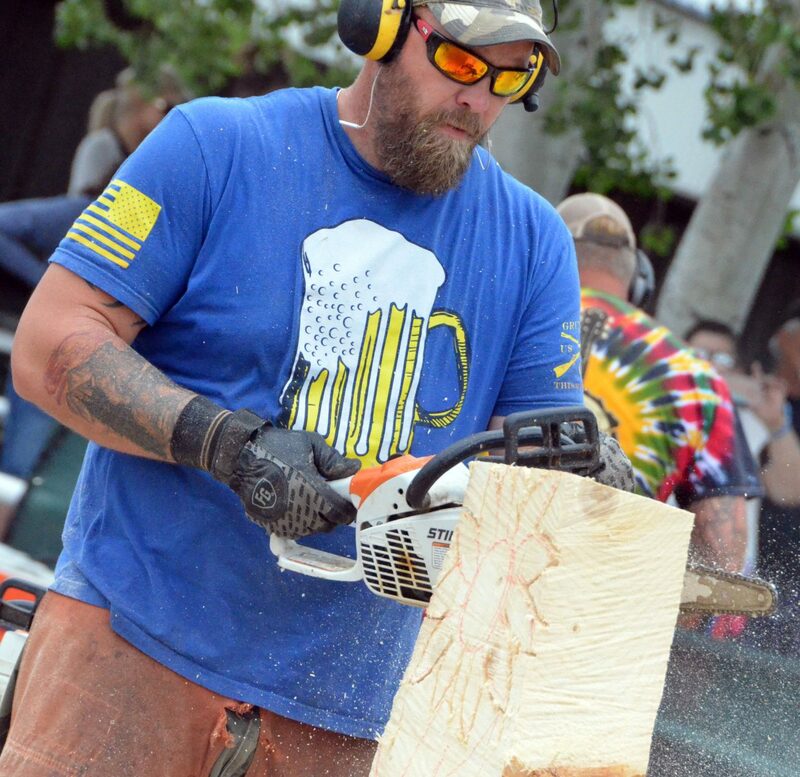 Chad Stratton slices into his stump Saturday during the Quick Carve competition at the 19th annual Whittle the Wood Rendezvous. 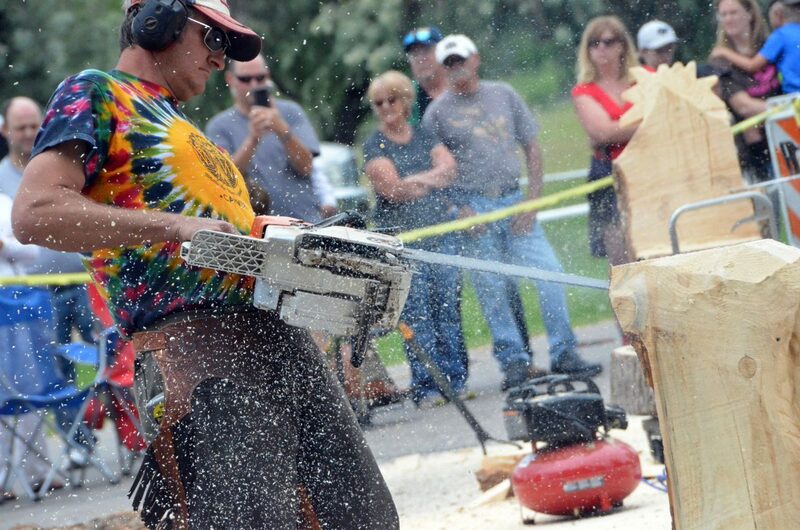 Doug Moreland slices into his stump Saturday during the Quick Carve competition at the 19th annual Whittle the Wood Rendezvous. 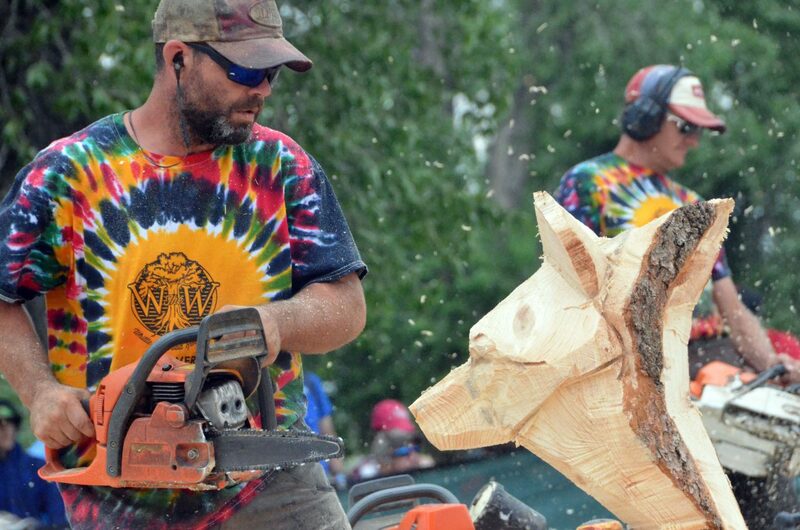 Joe Wenal trims his stump Saturday during the Quick Carve competition at the 19th annual Whittle the Wood Rendezvous. 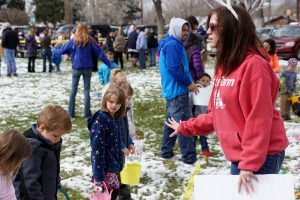 Carvers took a break from their bigger projects Saturday afternoon during the 19th annual Whittle the Wood Rendezvous to tackle smaller, quicker works as part of the Quick Carve event. 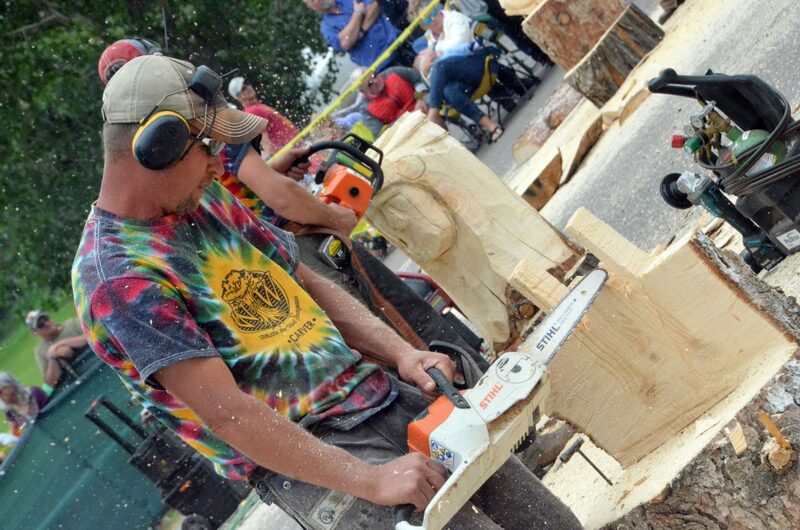 Each artist has one hour to produce a piece of art from a small stump as spectators view the speedy transformation.